A port and a harbor are often confused because they are both places used by ships and other water vessels. There are different functional aspects to each of these destinations. A port is a commercial water facility used for ships and their cargo. A harbor is a place of safety for ships and other waterborne vessels. A harbor is a mooring place and offers safe anchorage for the ships. Harbors and ports can be man-made or natural. 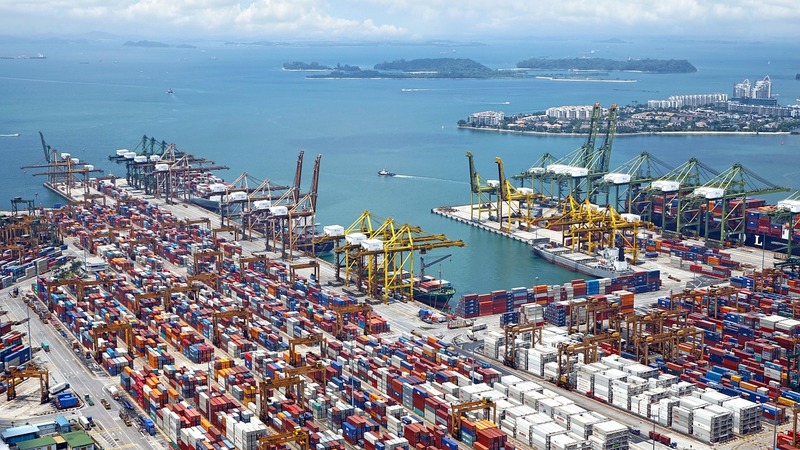 A port is very commercial and connects the land and the sea for handling cargo. Equipped with cranes, forklifts, warehouses and docks, a port offers many convenient facilities for ships. There may be hotels and restaurants on hand. A port can repair needy vessels and sometimes ship building takes place at a port. Due to the nature of the cargo going to other countries there are customs and shipping houses available. It is important for a port to be attached to other transport systems so that the goods can be carried to other destinations. A rail system and road transport are needed to link a port to other places. The port can house a number of different types of commercial goods and therefore warehousing is important. Refrigeration for goods that can deteriorate and special storage for fuel and chemicals need to be considered. A port will have appropriate container crates for these purposes. There are different types of ports. Fishing ports; warm water ports that don’t freeze; inland ports linked to a canal or river; dry ports connected by rail or road; cruise ship ports for passenger ships. Loading and unloading equipment for large cargo ships. Sufficient depth of water for the larger liners and sea going vessels. Connection to rail and road networks to transport cargo. Specialists in the field of container storage and customs facilities. A convenient stop for commercial shipping with repairs and refueling available. A harbor is a place of safety or haven for ships and other seagoing vessels. A harbor can be a natural part of the coastline or it can be man-made. A harbor generally has land on three sides and an opening through which the ships can pass as they enter the harbor. An artificial harbor may have been dredged from marsh land and been deliberately constructed with sea walls and jetties. It is often reclaimed land that is used to create the harbor. The name harbor comes from the old English ‘herebeorg’ meaning shelter or refuge. A place of safety for ships and other vessels. 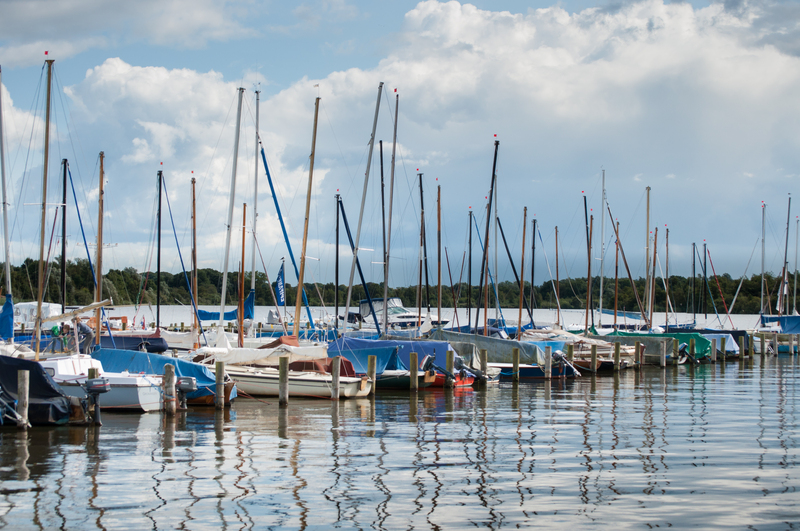 Recreational facilities for owners of yachts and moored boats. A harbor may include a port if it is large enough to house both harbor and port. A port is a commercial venture with all the facilities needed to support trade with cargo, storage and transport. A harbor is a place of safety for ships and offers moorings on jetties. A port has cranes and lifts to move heavy cargo. The port has connections to rail links and road transport. The commercial side of handling cargo is supported by customs for foreign goods. Special storage facilities are provided for items like chemicals and fuel. A port can repair ships and support the needs of the staff with offices, restaurants, and hotels. A harbor has less commercial facilities as it is merely a place of safety. It offers support for ships moored there but not in the same degree as a port. A port is accessible through the commercial entrance and sea route. It may also be accessible via a canal or river if it is part of a dry port. There are road and rail links for commercial reasons to a port. A harbor would be equally accessible but for different reasons. A port has its value as a commercial enterprise. It is a valuable asset to any country with a coastline. A harbor is a valuable place of safety for ships and worldwide there are some amazing natural and manmade harbors. Great natural harbors like Pearl Harbor, Sydney Harbor and New York harbor have historical and recreational significance. They have been developed into destination places, tourist attractions. Wadi al-Jarf is one of the oldest artificial harbors, while Debel Ali harbor in Dubai is the largest man-made harbor. Ports all over the world play their part in encouraging trade and commerce between different countries. In times of war, battle ships are housed in ports and prepared for battles at sea. Ports are commercial venues using water facilities. Harbors are more recreational. Ports have the buildings and commercial facilities to support cargo loading. Harbors are used for places of safety and moorings for ships and boats. Ports are commercial entities with staff and experts in the field of cargo loading and storing. Harbors are frequented by private individuals and boats as well as other sea vessels looking for a place of safety. A port can be part of a harbor but a harbor is not part of a port as the port needs the commercial services for cargo loading. Christina Wither. 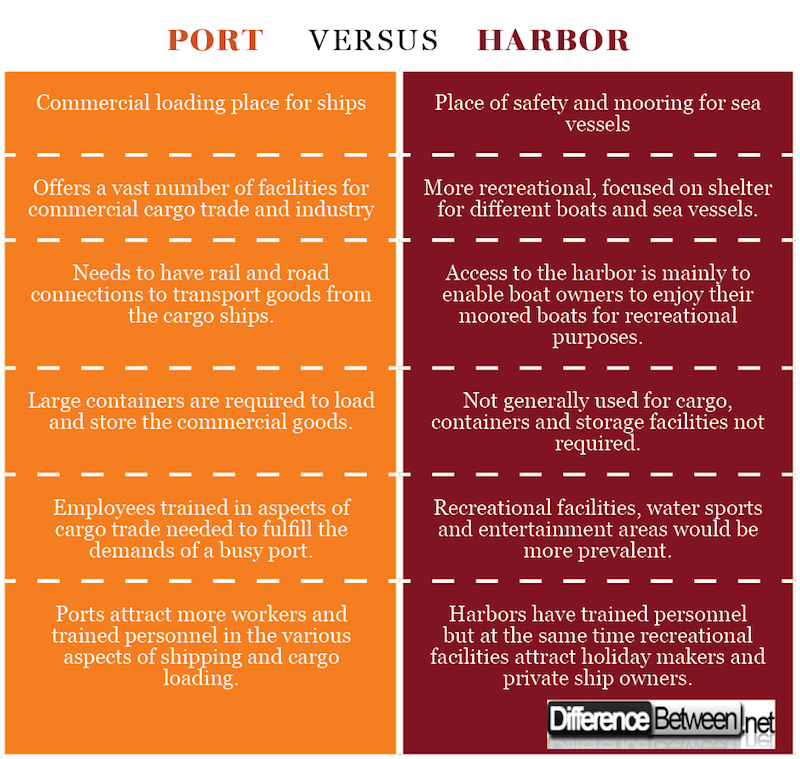 "Difference Between Port and Harbor." DifferenceBetween.net. February 20, 2018 < http://www.differencebetween.net/language/difference-between-port-and-harbor/ >. Olivia, Difference between port and harbor, www.differencebetween.com, 19th May 2011, pub. Difference between.com. Dasgupta Soumyajit, what are the various types of port, www.marineinsight.com, July 21st 2016 pub Marine Insight.